As Israel comes closer to a confrontation with Iran, we should note that Iran’s primary strategy is unlikely to be direct conflict with Israel. Iran’s air and missile forces, despite their bragging, are not sufficiently well-developed to support such a conflict. Instead, I expect that they will depend on their main proxy, Hizballah. 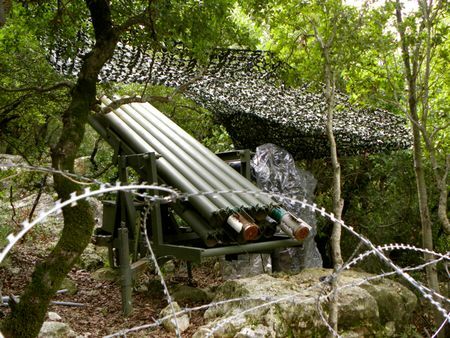 Hizballah can be expected to attack with its considerable missile forces and even to attempt ground incursions into Israeli territory. At the same time, Iran will try to leverage Western fears of terrorism and oil-supply disruption into pressure on Israel; so we can also expect to see terrorist attacks against Western targets. The difficulty of destroying or seriously damaging Iran’s nuclear capability is much-discussed, but I think the neutralization of Hizballah will also be a major task, and one of more immediate importance. In the short term, the number of Israeli casualties and the amount of damage to the home front in a conflict with Iran will be proportional to the time it takes the IDF to end Hizballah’s ability to fight. Hizballah is also an essential component of Iran’s long-term strategy, whether or not she succeeds in building a bomb. A nuclear Iran is more likely to pursue her interests in the region by threats and low-intensity conventional conflict under a nuclear umbrella than by actual use of atomic weapons, which would expose her to devastating retaliation. In 2006, the Bush Administration gave Israel a month to finish Hizballah. Israel did not make use of the opportunity because of the incompetence of the government and top military commanders, complacency, lack of planning, poor intelligence, etc. I believe that these problems have been fixed to a great extent. Although one might expect Obama to be less cooperative, it’s possible that the administration’s closeness with conservative Sunni interests — primarily Saudi Arabia, Turkey, or even Egypt’s Muslim Brotherhood — which are natural enemies of Hizballah, might lead it to wait before lowering the boom. On the other hand, if Hizballah terrorists are car-bombing buildings in New York, Los Angeles or Washington, there will be enormous pressure on Israel to end the conflict (yes, it’s irrational, but we’ve seen this response before). I don’t think that Israel can count on getting a month this time. I would stress the importance of a short campaign, which will probably mean the use of massive force. Hizballah is very well dug-in in southern Lebanon, and an operation aborted by international pressure could be disastrous. If Israel can be successful in removing Hizballah from the equation, Iran will be greatly weakened, Israel’s security and posture of deterrence will be strengthened, and the chances for future military action (or even diplomacy) to keep Iran from getting the bomb will improve. The New York Times published an interview with Egyptian President and Muslim Brotherhood leader Mohamed Morsi today. If you want to judge the performance of the Egyptian people by the standards of German or Chinese or American culture, then there is no room for judgment … When the Egyptians decide something, probably it is not appropriate for the U.S. When the Americans decide something, this, of course, is not appropriate for Egypt. I suppose this means that if they want to murder Christians we oughtn’t to judge them, while they reserve the right to attack our embassy whenever someone in the US makes a video that insults them. Unfair? What else could it mean? He said several times that the US favors Israel over the Palestinians, and that this is a problem in relations between Egypt and the US. I would say two things in response: first, Egypt has never been a friend to Palestinian nationalism, except insofar as it could be used as a weapon against Israel. In 1948, Egypt established a harsh military occupation of the Gaza strip. 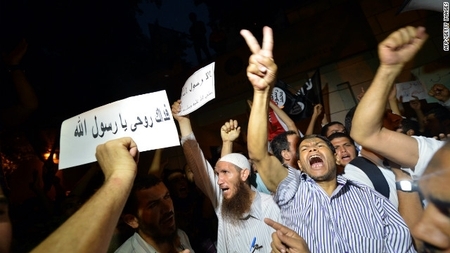 Arab refugees were forced into refugee camps at gunpoint — by Egyptian soldiers. [In 1948] the Egyptian government showed no desire to annex the Gaza Strip but had instead ruled the newly acquired area as an occupied military zone. This did not imply support of Palestinian nationalism, however, or of any sort of collective political awareness among the Palestinians. The local population was kept under tight control, was denied Egyptian citizenship, and was subjected to severe restrictions on travel. Under Israeli rule, the Palestinians also made vast progress in social welfare. Perhaps most significantly, mortality rates in the West Bank and Gaza fell by more than two-thirds between 1970 and 1990, while life expectancy rose from 48 years in 1967 to 72 in 2000 (compared with an average of 68 years for all the countries of the Middle East and North Africa). Israeli medical programs reduced the infant-mortality rate of 60 per 1,000 live births in 1968 to 15 per 1,000 in 2000 (in Iraq the rate is 64, in Egypt 40, in Jordan 23, in Syria 22). And under a systematic program of inoculation, childhood diseases like polio, whooping cough, tetanus, and measles were eradicated. No less remarkable were advances in the Palestinians’ standard of living. By 1986, 92.8 percent of the population in the West Bank and Gaza had electricity around the clock, as compared to 20.5 percent in 1967; 85 percent had running water in dwellings, as compared to 16 percent in 1967; 83.5 percent had electric or gas ranges for cooking, as compared to 4 percent in 1967; and so on for refrigerators, televisions, and cars. This is not to say that the Palestinians are happy being ruled by Jews, which of course is devastating for their sense of honor and Muslim sensibilities. But it does make one wonder how much Egyptians have historically cared for their Palestinian Arab ‘brothers’. Second, it is simply untrue that the US has favored Israel over the Palestinians, unless you understand this to mean that the US has not (yet) supported maximalist Arab demands for the replacement of Israel by an Arab state. The US has certainly pressured Israel to make concessions to the Palestinians, and it is only the Palestinian desire to ‘have it all’ that has prevented a US-brokered Palestinian state from coming into being. … he also argued that Americans “have a special responsibility” for the Palestinians because the United States had signed the 1978 Camp David accord. The agreement called for the withdrawal of Israeli troops from the West Bank and Gaza to make way for full Palestinian self-rule. Camp David does not say that there will necessarily be a Palestinian Arab state in the West Bank and Gaza. It most certainly says nothing about a full Israeli withdrawal from the territories, only that its final status (and, by implication, its borders) will be up for negotiation after a transition period. And it explicitly says that there will be a redeployment of Israeli security forces – in order to ensure security for Israel – into locations that can only mean in parts of the territories, or else it would have just said “withdrawal of remaining Israeli forces,” period. Indeed, the agreement also talks about joint Jordanian-Israeli patrols in Judea/Samaria! By demanding “Peace and justice … for the Palestinians” as part of Camp David — and we know well how this is interpreted in the Arab world — Morsi can justify Egypt’s abrogating any part of the treaty that it chooses (although I doubt he will be returning the Sinai to Israel any time soon). This is important, because it will soon become a live issue as the Egyptians ‘reconsider’ the treaty. The Times’ presentation is either incompetent (they don’t know what’s in the Camp David agreement) or dishonest. Enraged Zionists burn Apple stores! Violent demonstrations broke out in front of Apple stores all over the world when furious Zionists found out that the Apple Maps app on its new iOS 6 operating system does not show any capital for the State of Israel. “It’s outrageous,” said one who called himself ‘Moshe’, as he heaved a brick at the stylish store in Manhattan. “Ya tapuchim bnei zonot,” he shouted, running from police officers. Others poured gasoline on a huge effigy of an iPad and set it alight while singing hatikvah. 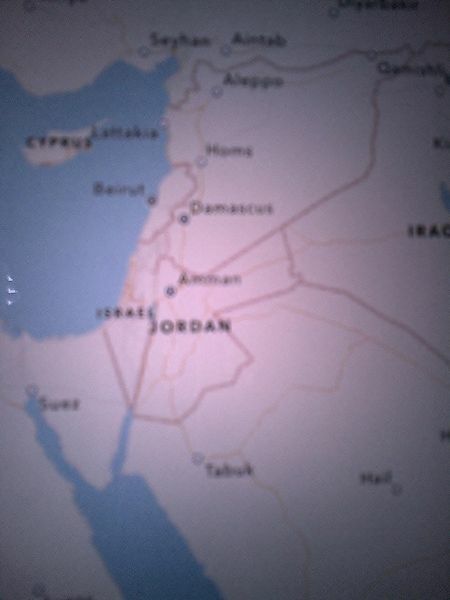 When it became clear that not only was there no capital shown on the map of Israel, but that World Clock listed ‘Jerusalem’ without any country — the only city so listed — the fury reached a fever pitch, with Apple ‘geniuses’ running for their lives as mobs of enraged Jews broke into the stores, waving signs calling for the beheading of CEO Tim Cook and the reversal of the verdict in the Samsung patent suit. In case you are reading this in an Arab country and miss the satirical intent, I’ll make it clear that there were in reality no Zionist riots, despite the fact that Apple seems to be taking the position that the Jewish homeland has no capital, and that Jerusalem is located on Mars. We will give Apple a few days to fix this clearly inadvertent bug in its new software, and to apologize. I’m sure they will. “The Street,” last week in Egypt. But it could be anytime, anywhere. The US has recently warned Israel that an Israeli strike on Iran will likely cause Egypt and Jordan to annul their peace agreements with Israel and sever ties, according to a senior Israeli official quoted by the Hebrew daily Yedioth Ahronoth on Thursday. 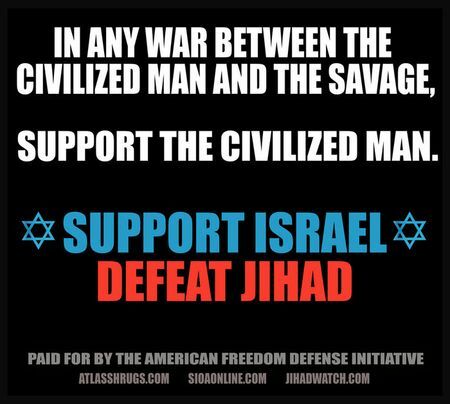 “What we’ve been seeing with the anti-Muhammad film is nothing but a preview for what’s going to happen if Israel attacks,” the official was quoted as saying. Well, sure. If they can use a stupid film made by some neer-do-well in LA as a pretext for violent ‘demonstrations’ against Western interests, they should have no problem being provoked by an actual bombing raid. But by the same token, who cares? Anything can be used to provoke “The Street,” which is a cheap, easily deployed weapon in the hands of both the official leaders of the countries in question and the various radical groups. Israel, of all nations, can’t let the Arab street set policy for it. Would it help to point out that a nuclear Iran, which wants to set up a Shiite caliphate in the Mideast, also threatens Sunni Jordan and Egypt? No, because an Israeli attack is a win-win proposition for Arab leaders: they are saved from Iran, but they have another reason to stir up hatred against Israel. Guess they never heard of gratitude. So what about the peace treaties? Again, who cares. The treaties are not accepted — they are considered treasonous, deals with the devil — by a huge majority of the inhabitants of Egypt and Jordan. The leadership has seen to it that there is the absolute minimum degree of normalization in relations. The Muslim Brotherhood regime in Egypt has said that they will ‘reconsider’ the treaty, which means that they can decide at any time that they can militarize the Sinai, if they dare. It’s the IDF that prevents war, not the treaties. And here is a point that American officials may have missed (h/t: Omri Ceren): the US wants Israel to make irreversible, highly concrete concessions to the Palestinians in return for a treaty. But if these treaties can be torn up by the anger of the street, then maybe they are not such a good idea. After all, Israel might have a need to defend itself again in the future. Recently I mentioned to a friend that the peace treaty with Egypt turned out to be a bad idea. “Oh no,” he said, “we had 40 years of peace as a result.” But the truth is that Israel paid dearly in the coin of natural resources and long-term security for a temporary cease-fire, something which was guaranteed by the IDF anyway. 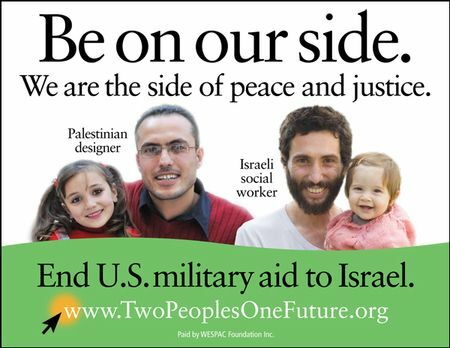 Yes, Israel got US military aid in return — but so did Egypt, which has nobody to use it against except Israel. Here is a lesson we can learn from history, both from the treaty with Egypt and the Oslo accords: a treaty is a piece of paper which is only good as long as both sides’ interests are served by it. Therefore we should never make a treaty in which permanent concessions by our side are paired with mere promises from the other, because their interests are always maximized by taking what we offer and giving nothing in return. And while we’re learning lessons from history, let’s not forget this one: the Jewish people cannot afford to outsource its security, even to ‘friends’.